The concept of determinism and contingency are themes that have generated a lot of a discussion among philosophers of history. E.H. Carr defines determinism simply as “a belief that everything that happens could not have happened differently unless something has also been different”. Pieter Geyl sees determinism as “a doctrine according to which we are helplessly caught in the grip of a movement proceeding from all that has gone before”. The concept of determinism owes most of its vogue in historical thought to the example of the natural sciences and their great prestige in recent times. Their mode of collecting and classifying evidence, correlating and predicting has made the notion that one can discover large patterns or regularities in the historical process. Determinism denotes that human actions are determined by factors extraneous to him or that human actions are not always completely determined by extraneous forces. Human beings; at certain time have open options to act. At other times they do not. Isaiah Berlin says that “for practicing historians determinism is not, and need not be, a serious issue”. He turns round to contradict himself by saying: “Yet inapplicable as it may be as a theory of human action, specific forms of the deterministic hypothesis have played an arresting if limited role in altering our views of human responsibility. The irrelevance of the general hypothesis to historical studies must not blind us to its importance as a specific corrective to ignorance, prejudice, dogmatism and fantasy on the part of those who judge the behaviour of others”. One wonders why Berlin has spent so much time and energy writing on what he does not consider to be a serious issue for historians. Human actions are the subjects of history. The practicing historian cannot run away from the issue of determinism as long as he is engaged in finding out why things happened in the way they have happened in the past. He has to deal with causes and effects. This is why Carr says: “The study of history is a study of causes”. The historian continuously asks the question “Why”. A historian may know enough to tell a reliable story full of significant details, but he really knows nothing unless at every point he also knows the causes of events. Determinism and the question of free will is one of the large areas of disagreement among philosophers of history. Berlin, who probably represents his own school of thought, argues that an individual is morally responsible for an act he performs only if the individual has chosen to do so out of his own free volition. Accordingly, if a person is genuinely responsible for some actions of his, he could have acted differently had his choice been different. This is not objectionable. But Berlin seems to hold the view that deterministic assumption that the individual could have chosen differently from the way he did in fact choose because his choice at the time he made it was determined by circumstances beyond his control. Berlin then goes on to argue that on the deterministic premise, the conjecture that a man could have chosen otherwise than he in fact did is ultimately an illusion resting on an ignorance of the facts. Berlin therefore concludes that determinism entails the elimination of individual responsibility, since it is not the person’s free choice, but the conditions which determine his choice, that must be taken to explain the person’s choice. May Brodbeck on the other hand, tries to establish that human actions in history, while operating under constraints extraneous to themselves are still free within the context to choose from the varying number of alternative choices of action. Accordingly human beings are responsible for the consequences of their actions because they have made a choice. Brodbeck writes. “A man acts when consciously or unconsciously his intentions, desires, or reasons are among the causes of his behaviour, he has the alternative of doing one thing rather than another; the action he takes depends upon him. He makes choice. If he had chosen differently, something else would have happened”. This statement seems to answer Berlin’s objections that people are being absolved from the repercussions of the actions they take and are being set free from moral condemnation or approbation for their actions. In our practice day to life, the logical dilemma about free will and determinism does not arise. It is not that some human actions are free and others are determined. The point is that all human actions are both free and determined, depending upon the angle from which one looks at the matter. In the famous words of Rousseau: “Man is born free and is everywhere in chains”. Free, because he can use his will and reason to choose his course of action. He is in chains because he cannot use his will indiscriminately nor choose entirely according to his whims and caprices. In our daily judgement of people and events we can easily discover that the way people act does depend on several factors and influences. Ernest Nagel puts it this way: “I want to affirm explicitly that frequently there are ascertainable limits to human power whether individual or collective, for directing the course of historical changes limits that may be set by facts of physics and geography by biological endowment, by modes of economic production and available technical skills, by tradition and political organization, by human stupidity and ignorance, as well as the antecedent historical occurrences”. One cannot agree more with this statement. On these grounds the case of the opposers of the concept of determinism cannot stand. This is not to say that under the same circumstances and conditions all men and women will always act in the same way. Different individuals will approach the same or similar situations with different attitudes. Even though much will still depend on their character formation, early training, education, the kind of educational institutions they attended, the kind of books read heredity, group influences and the like. Take the great man theory in history for example. The great man’s effectiveness depends on the social setting and the major political forces operating during his time. His decision is important only to the extent that his influence predominates with the majority and then it will not longer be an individual’s decision but that of the majority. Here Hegel’; words are appropriate: “The great man of the age is the one who can put into words the will of his age, tell his age what it will and accomplish it. What he does is the heart and essence of his age; he actualizes his age”. The great man or the hero influences society only when the society is ready for him. As Carr puts it: “The great man is always representative either of existing forces or of forces which he helps to create by way of challenge to existing authority”. Buddaha Wilson Churchill, Lenin, J. F. Kennedy and other great men could not have done what they did if there were no conditions which made it possible for them to undertake what they did. There can be no writers where writing is unknown. An Arab proverb says that ‘men resemble their times more than they do their parents’. Consider the case of a revolution. Any attempt to attribute the causes of the French Revolution to only the actions of the leaders of the revolution to only the action of the leaders of the revolution would be meaningless. It is true that the leaders of the revolution held several crucial meetings, took many far reaching decisions and got many people guillotined but they were not responsible for many of the things that had happened before they began to act. They were not responsible for the outworn, inefficient and bankrupt system of government, the widespread economic distress in France nor for the successful example of the American Revolution. The makers of the January 1966 Putsch in Nigeria were helped by the circumstances they did not create. They were not responsible for the 1963 controversial census in Nigeria, the election impasse of 1964, the rigged general elections in the Western Region and the consequent break-down of law and order in that region. From these two examples one can see that the actions of the leaders of the French Revolution and those of the military coup-makers in Nigeria were made possible mainly by the prevailing circumstances. In other words the circumstances rendered their actions almost inevitable. It must be pointed out that there are certain abnormal circumstances under which human beings cannot be held responsible for their action – circumstances under which they have very little or no chance to make ka choice. These include actions taken under duress or tortures, when physically overpowered, when insane, epileptic, when being manipulated for political religious reasons, when under the influence of alcohol or drugs and when he is under hypnotism. People are manipulated if they are caused to behave in accordance with the wishes of others without being aware of it. If a person acts when is being manipulator as held responsible. According to Francis Raab: “If historical investigations revealed that one of those actors was present on the occasion of every decision of every historical agent, then we have sufficient reason to say that they were neither free nor responsible”. From what has been said above it should be clear that there is not situation when human actions are exclusively based on free will or when they are exclusively determined, except on extra ordinary occasions when human beings are manipulated. If determinism is treated as fatalism (which has not place in history) then man has not free will. The concept of determinism based on the fear that human beings might become helpless victims of providence cannot be sustained to be true either in theory or in our daily life experience as has been demonstrated above. Human beings are in the sense already indicated, free to make decisions and choices they make by the ideas which have been transmitted to them through inheritance and their environment, past and present. 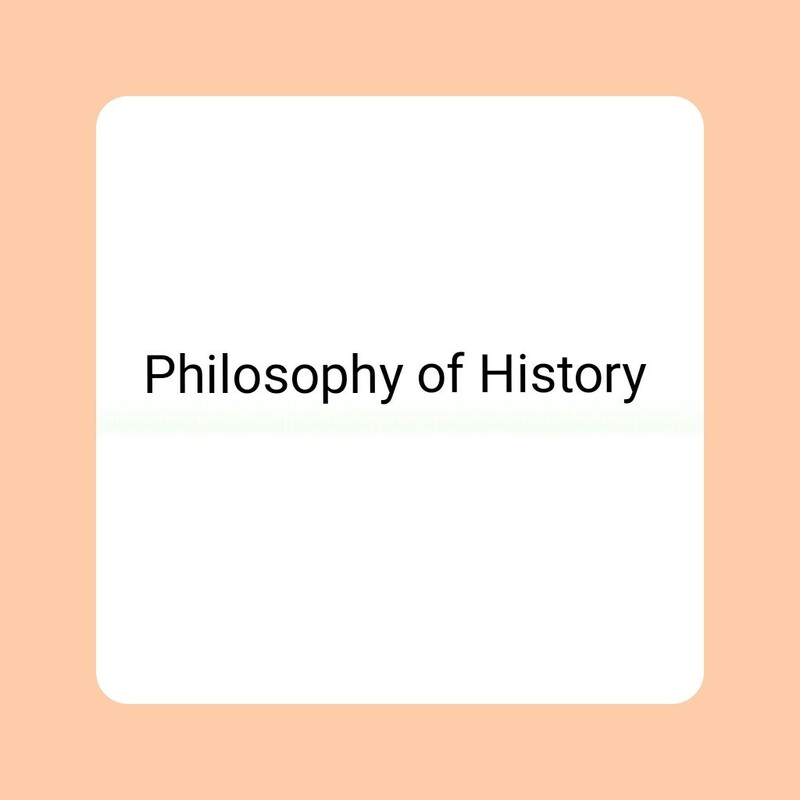 Some historians who are opposed to the notion of determinism in the causal explanation of the historical process are also opposed to the concept of contingency in history. “History” says he, “knows nothing of the fortuitous or the unexpected. In history, there is nothing extra-ordinary because there is nothing extra-ordinary”. He argues that chance or accident is a mask which is the precise duty of the historian to tear away and that in the historical past there are not accidental events because in the scientific sense, there are not necessary or inevitable events. But we know that in human, experience there is no denying the common occurrence of accidents and the expected. How and to what extent they do affect the historical process is another matter. It is true that nothing is really inevitable in history. For it to have happened differently, the antecedents would have had to be different. Marxists have tried to explain off the notion of contingency in history by saying that accidents are not very important as they could only retard or accelerate, and by implication, could not radically alter the course of historical events. They also say that one accident may be compensated by another and that in the final analysis chance cancels itself out. Lastly they say that chance is only illustrated in the character of the individual. These contentions by Marxists are not fool proof. Some accidents do not merely accelerate or retard. They sometimes seriously affect the course of history. To say the death of one hundred and seventy-six Nigerian Pilgrims in an air crash at the Kano airport in 1973 is automatically compensated in such a way as to restore the balances of historical process is unacceptable. Some accidents do have far reaching consequence which could not easily be compensated. Berlin and Karl Poppers, two eminent opposers of causation and determinism, assume that the historians’ attempt to find significance in the historical process and to draw conclusions from it an attempt to reduce the whole of human experiences to uniform order and that the presence of contingency in history would destroy which an attempt. But the historian does not hope to perceive more than a small portion of vast tapestry of events that happened in the past. This has been clearly stated by Carr: “The world of the historian… is not a photographic copy of the real world, but rather a working model which enables him more or less effectively to understand it and to master it”. This historian tries to extract what is significant from the experience of the past such as are available to him. These are the parts which he recognizes as capable of rational explanation and from them draws conclusions which may serve as a guide to action now or in the future. 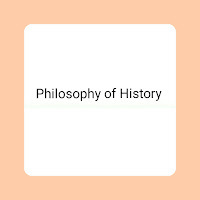 It therefore follows that the status of contingency in causal explanation of the historical process must be sought in the way the historian goes about his work of writing history. History begins with the selection and marshalling of facts by the historian to become historical facts. The historian tries to select from the welter of factors those that have relevance to a rational explanation of historical events. The issue is not whether one sets of events are causally determined and others are not. The hierarchy of causes, the relative significance of one set of causes is the essence of historical interpretation. The shape of Cleopatra’s nose, the monkey bite that killed King Alexander of Greece or Trotsky’s fever (to make use of the well known examples used by Carr) or any other events could be seen as accidents which affected the course of history one way or the other. These incidents had effects. On the other hand, in so far as they were accidental, they do not enter into any rational interpretation of history or into the historian’s hierarchy of significant causes. This is the crust of the matter. It must, however, be pointed out that events regarded as accidents and therefore numerable to causal explanation may in fact be causally explained. They may possess their own inner logic. Consider the assassination of J. F. Kennedy the events of the assassination separately considered may be causally explained. If we ask why the president was in that bit in the street at the material time, we will discover an adequate chain of causes. If we also ask why Lee Oswald was lurking in a departmental store ready to shoot the president, we will also discover that this incident too has it undoubted, sequence of cause in Oswalf mental condition, heredity and past experience. It can then be said that it was only the convergence of the lines of causation which given the assassination its accidental character. The incidents connected with Cleopatra’s nose, Alexander’s monkey bite and Trotskey’s fever had some repercussions. But it does not make sense as a general proposition to say that generals lose battles because they fail in love with beautiful queens or that wars break put because Kings keep pet monkeys. On the other hand if a history student is told that the struggle in Russia in the 1920s was due to the discussions about the rate of industrialization, about the best ways of getting the peasants to grow grains to feed the growing population, he will believe that these are rational and historically significant explanation because they could be applied to other historical situations. He will believe that these are the real causes of what happened in the sense Lenin’s premature death was not. I a historian wants to include accidents in his causal explanation in history what he writes will not be history but something else. This is because accidents are unique to persons, places, situations and epochs. They do not produce general concepts which are applicable to similar situations in other places at different times. Since accidents are not amenable to rational explanation as a rule they are kept out of the historian’s hierarchy of significant causes. Accidents do not rationally explain historical events because there are usually other causes which are much more rational in explaining events. It is true that accidents may interfere with the historical process and sometimes significantly, nonetheless the historian cannot include accidents in the hierarchy of his significant causes. Sometimes an accident which is considered to be capable of greatly interfering with or affecting the process of history may in fact be of limited long-range significance, even the sudden and unexpected death of a popular young president probably did not interrupt major historical sequences. In Germany, Italy, Portugal and in other countries, events continued to follow one another in a way that was little different from what might have been expected if Kennedy had never visited Dallas. Accidents teach no universal lessons and lead to no general conclusions. They do not lead to any fruitful generalizations. In sum then, the occurrence of accidents in history is an undeniable fact. They may affect the course significantly or insignificantly. But they have not status in the causal analysis of historical factors. This is not to say that accidents are not part of human experience. Of course, they are. But they do not help us to understand history. The dual and the reciprocal function of history is to bring about our understanding of the past in the light of the present and the present in the light of the past. In the words of W.H. Walsh:… “it seems to me that in historical work of all kinds there is a single over-riding aim to build up an intelligible picture of the human past as a concrete whole, so that it comes alive for us in the same way as the lives of ourselves and our contemporaries”. Since accidents, by their nature, do not contribute to the purpose of history, from the point of view of the historian, they are not fruitful and have no recognizable status in the causal explanation of the historical process.